You've read the 11 Rules for Personal Branding Success with Avatars, have a perfect image for your avatar and want to get started visually improving your personal brand online. This handy reference will help you do just that. If your chosen image is rectangular, some sites will crop it automatically and probably not in a flattering way. Bearing in mind that brand reinforcement is about repetition, keep things simple by using the same square image everywhere. However, sites will typically use at least 3 different sizes of your image. If the image you upload is too small, it will appear blurry when blown-up on some pages. If the image is too big, the reduction will sometimes look pixelated. How do you choose? Submit large images to the sites where profile pages are more likely to be seen often, such as on LinkedIn. Or, avoid this problem altogether by choosing an image *per site* that looks good at all the sizes cited in the guide below. LinkedIn's sidebar images measure 40×40 pixels and profile page images can be 80×80 pixels. Recommendation: with the emphasis here on the latter, submit an image of 80×80 pixels. Twitter profile pages display images at 73×73 pixels (go figure) while showing avatars at 48×48, 31×31 and 24×24 pixels elsewhere. Recommendation: 48×48 pixels if you put a larger image as part of your Twitter background, otherwise 73×73 pixels. Facebook's profile page lets you display a rectangular image no wider than 200 pixels while showing avatars of 50×50 pixels elsewhere. Recommendation: bearing in mind how profile-heavy Facebook is, use an image of 200×200 pixels for maximum recognition. Skype is one place where rectangular images can be used, but don't do it. Both 96×96 pixel and 48×48 pixel images are used on Skype. Recommendation: prioritize the chat window by submitting an image of 96×96 pixels. Ning will take your GIF, JPG or PNG file and display it at 120×120, 48×48 and 32×32 pixels. As a platform for social networks, Ning also allows you to have a different avatar per network but don't fall into this trap. Instead, choose only one avatar as the Ning default, which will then cascade to all the Ning social networks you join. Recommendation: 120×120 pixels, because profile pages are so often visited here. Although Google's Gmail (96×96 pixels) and Friend Connect (both 82×82 and 40×40 pixels) use different images, the image sizes aren't too different. Recommendation: use an image of 96×96 pixels for your Google profile. FriendFeed is like Google in that the different avatar sizes used aren't too different at 75×75, 50×50 and 25×25 pixels. Gravatars are universally-used for blog comments, like here below. Although the Gravatar website will preview your avatar for you at 192×192 and 80×80 pixels, webmasters can choose a size that fits their design and that is usually something smaller, closer to 50×50 pixels. 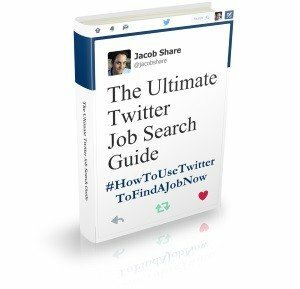 Also used here on JobMob, MyBlogLog is a great way to see who is visiting a site. Files must be in JPG or PNG format, 5MB or under but will be reduced for the avatars to appear at 96×96 pixels, 48×48 pixels and even 24×24 pixels on some sites. Recommendation: 48×48 pixels is the avatar size that seems to be most widespread. BlogCatalog is like MyBlogLog and almost as useful. Making things simple, there's only one possible size here for your GIF or JPG avatar image. Myspace allows up to 158×158 pixels for an image on the profile page, and uses 28×28 pixel icons everywhere else. Recommendation: with visitors heading to your profile page often, 158×158 pixels is the way to go. Digg is one of the less important social media for professionals but most people do have an account there. A heavy user of avatars, you can see images in 16×16, 48×48, 60×60 and 120×120 pixels on Digg. StumbleUpon lets you use a large 185×185 image on your profile page but will settle for any size you submit, while using avatars of 48×48 pixels everywhere else. Not a graphic designer? Don't know how to resize your beautiful portrait for these sites and any others? Not to worry. With mypictr, upload a large avatar image and choose the destined website or social network. mypictr then suggests the default avatar size for the chosen website and lets you zoom and crop your uploaded image until you have a match. Once you click ‘pictrit', you can download your image or email it to someone else. Perhaps in the future, mypictr will even update your profiles for you directly. Which other sites would you like to see in this reference guide? 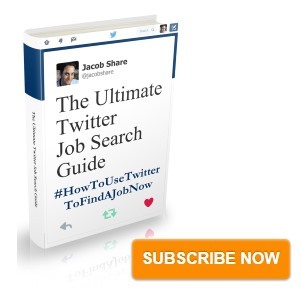 Subscribe to JobMob via RSS or email and follow me on Twitter for more job search image-building tools. RT @xequals: No more LAME avatars – http://bit.ly/hVoMR – ok … well at least properly sized – because size matters! It seems to be highly confusing. There should be standardised sizes. Perhaps two or three different options. Excellent post you did your research!